Baker’s Gray-Away Wood Seal from Texas Wood Products is specially formulated to protect natural wood from the harmful affects of sunlight, water, mildew and fungus. This specially formulated penetrating oil contains powerful UV light absorbers, mildewcides, pigments, resins and water repellents. Baker’s Gray Away has superior color retention properties and penetrates deeply without film build up. If properly applied, Baker’s Gray Away Stain offers easy maintenance for both home owners and contractors. Baker’s Gray-Away Sealer has long been the choice of professional contractors for Deck Staining and Sealing, Fence Staining and Sealing, Staining Cedar Shakes and Cedar Siding and Staining Log Homes. These stains offer an extremely long life and unmatched protection for wood decks, fences, siding, logs, privacy fences and all other exterior wooden projects. 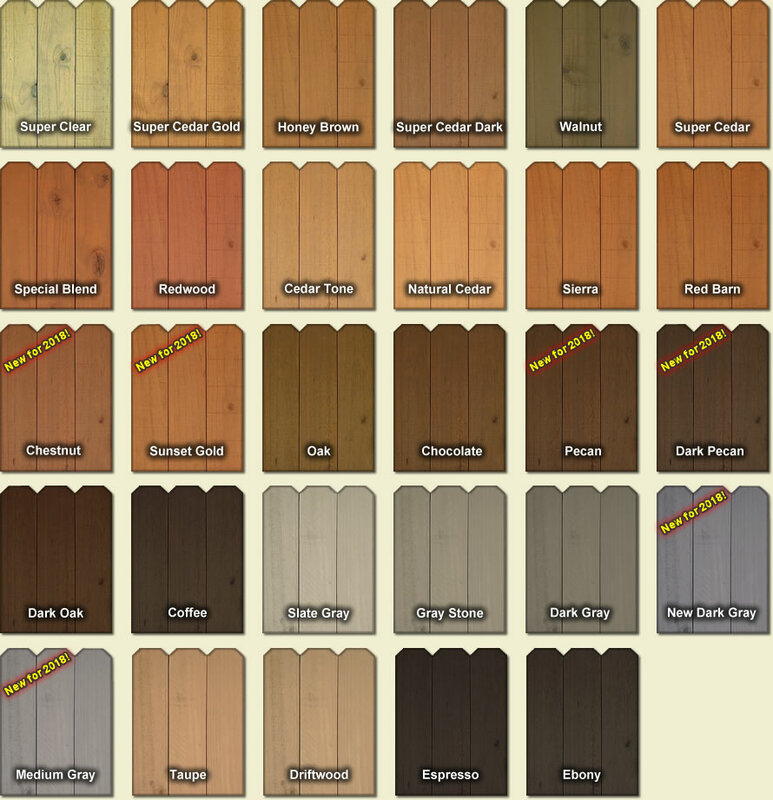 Texas Wood Products offers a great selection of fence stain colors and deck stain colors to suit all tastes. See the “Technical Info” page for application instructions, fence cleaning. deck cleaning, deck stripping and fence and deck staining tips. Baker’s Gray Away Wood Seal is available in 5 gal pail, 3.5 gal pail, 2 gal pail, 1 gal can.